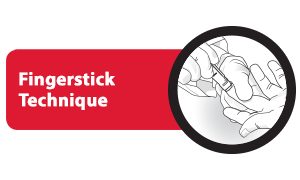 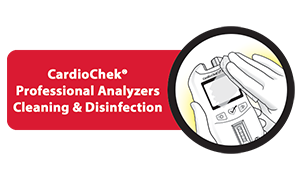 The CardioChek® PA test system is one of the fastest, most cost-efficient, and user-friendly methods to accurately determine lipid and glucose values at the point of care. 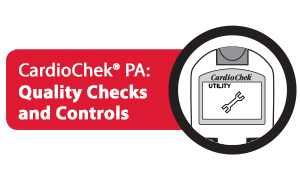 In as little as 90 seconds, the CardioChek PA test system provides values and measurements using the same technology as clinical laboratories. 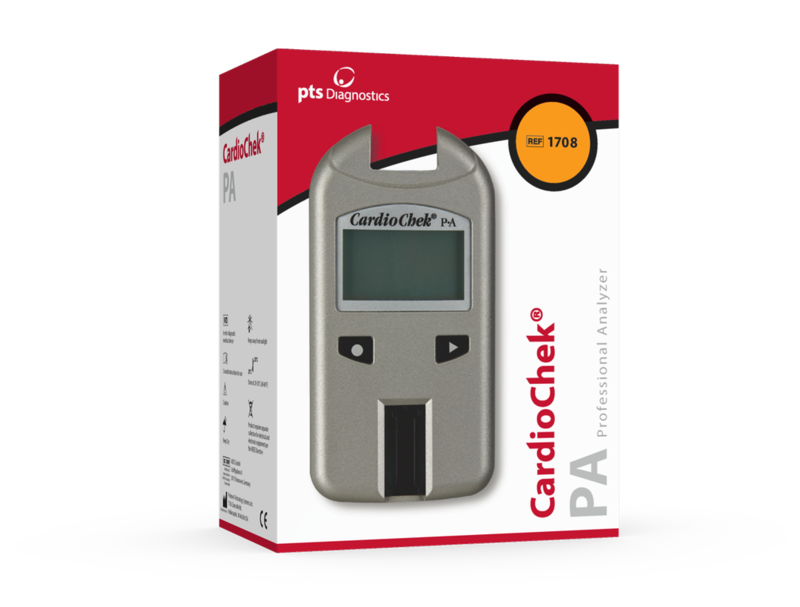 Handheld and battery-powered, the patient-friendly CardioChek PA analyzer requires a small blood sample from a simple fingerstick. 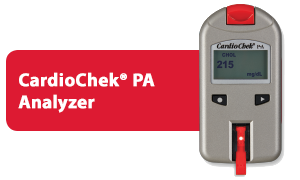 The CardioChek PA analyzer is simple and convenient to use. 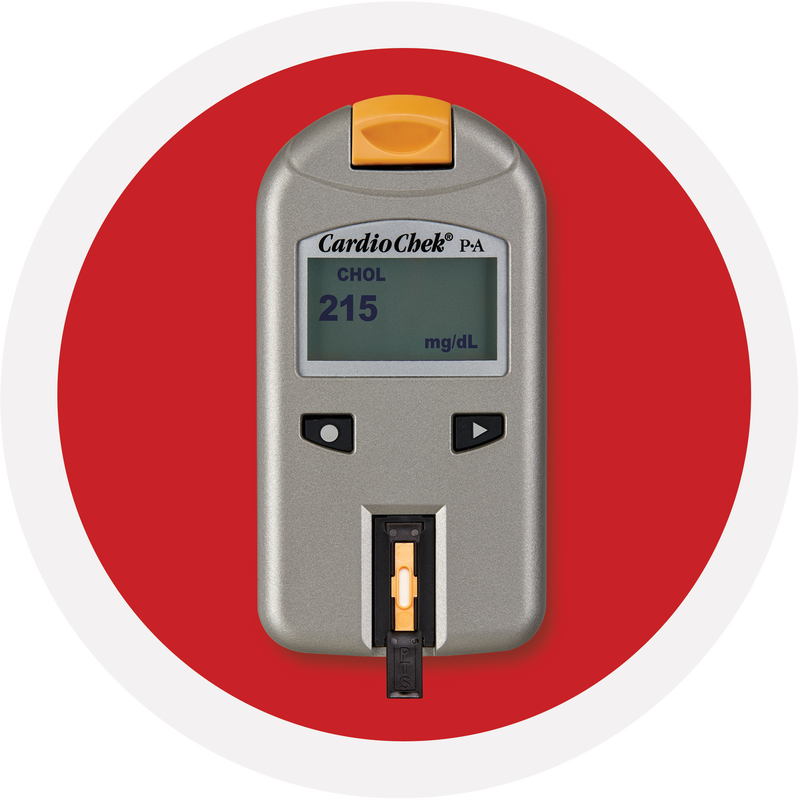 Flexible – measures total cholesterol, HDL cholesterol, triglycerides, glucose and more. 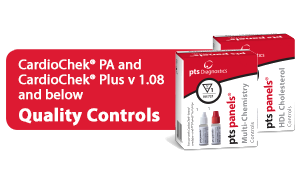 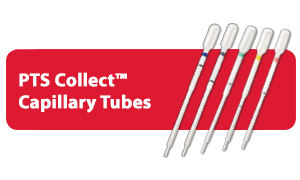 Also provides calculated LDL and TC/HDL ratio.